The difference between setting a great time in competition and achieving your objective can often be found in your own mind and how easily you can focus on the goal. 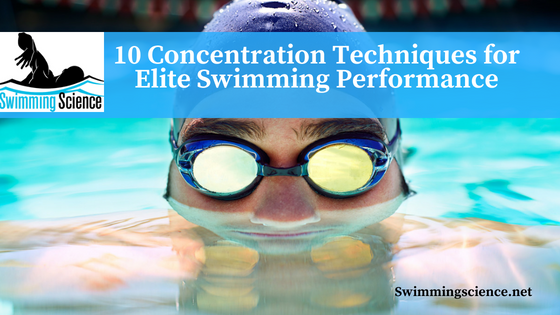 Too much anxiety before a competition, overzealous expectations, fear of your rivals or simply a pair of goggles that break a few moments before the race can be more than enough reason to lose concentration. All of these can have a detrimental effect on your performance. We sometimes need to demonstrate our courage and bravery to others. We need to feel loved and admired by our colleagues and rivals, we desperately seek the approval of others and we want ourselves to be ready and prepared to achieve our goals. We should realize that we cannot always make everyone happy – no matter how hard we try – because that excessive degree of responsibility leads to unease and anxiety, saps our energy and distracts our concentration. Focusing your interest and concentrating your attention on specific tasks can help you take your mind off the situations that make you nervous or concerned. The most important thing is to trust yourself, avoid pressuring yourself or judging your actions too harshly, not underestimate your abilities, always think and act positively, and fully concentrate on the path towards your goals. The following concentration techniques might be useful and will help you focus your attention to avoid possible distractions. Focus on the main aspects of your sport, go back to basics and strive to achieve what you want. Focus and concentrate your attention on your closest goal and avoid thinking about too many things at once. Always maintain a positive and useful attitude, have full confidence in your performance. You have improved your training, perfect your technique and make every effort to recover well. Â You have no reason to worry, you are doing what you like most and are ready to achieve your goals. Go for it! Take control of your thoughts, it will help you steer and guide your path. Remember your best competitions, remember how good you felt when you performed so well and the feelings that produced, the moments before the race and the concentration techniques and relaxation strategies that helped you do it. Your goals should be logical and achievable. Avoid unrealistic objectives that are impossible to achieve. Do not think about your possible flaws, focus your mind and attention on being efficient and practical. Constantly strengthen your thoughts with positive and effective reaffirmations that enhance your perspective. VisualizeÂ the perfect race and go get it. Live the moment, avoid those negative thoughts that will surely prejudice your performance. Do not think about the time you set, forget about your rivals and focus on doing your best job and develop those small details that will eventually be decisive. Written by AgustÃ­n Artiles (â€œChampiâ€). AgustÃ­n has more than 35 years of experience as the Head Coach of some of the most important Spanishswimming teams He has been the Coach of the Spanish Swimming Team from 2008 to 2012, and has trained the 50 breaststroke Spanish national recordman, Hector Monteagudo Espinosa, from 2002 to 2013 AgustÃ­n has also trained several international swimmers from the Spanish National Team and from theÂ EuropeanÂ and world top ten, as well as paraolimpics athletes with medals and world records in all the different categories. He has alsoÂ been accomplished with the award as the Best competition swimming coach in Spain 2006, as several recognition for professional merits.